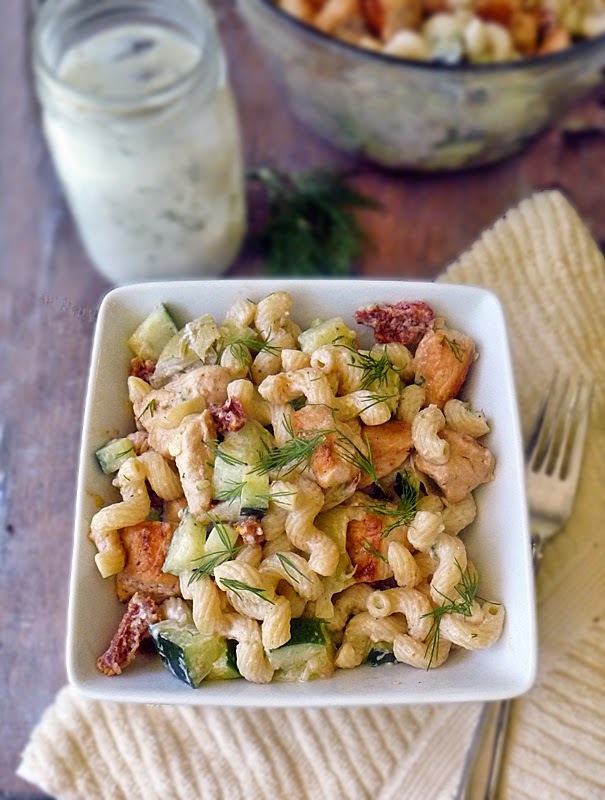 Tzatziki Pasta Salad is a greek inspired salad filled with lots of healthy and fresh ingredients. The Tzatziki sauce is made with Greek yogurt and it is my absolute fave. I have used this same sauce for my Greek Style Pork Chops and these Mediterranean Meatball Gyro Sandwiches. Ooh just thinking about those sandwiches has me craving them again! I need to add those to the menu soon! This salad is very pretty with all the beautiful colors. It's also very refreshing with the cucumbers and dill, so it would be something nice and different to take to a pot luck. I like how versatile it is too! You can make it with the chicken for a complete meal, or leave the chicken out and use it as a side salad. You can't go wrong either way! While pasta is cooking, combine 1 tablespoon red wine vinegar, 1 teaspoon olive oil, 6 ounces Greek yogurt, 1 tablespoon freshly chopped dill, 1 tablespoon shredded cucumber, 1/2 teaspoon freshly minced garlic, a small splash of lemon juice, and a pinch of salt. Give it a taste and adjust the seasonings to your liking. Start out adding just a little bit of lemon juice. Add a little bit at a time until you have just the right flavor. Too much lemon juice can overwhelm the sauce, so add sparingly. Cover and chill until ready to use. If the dressing is too thick you can thin it with a little water. Heat a skillet over mid-high heat and melt 2 tablespoons butter. Add the chicken and salt and pepper to your liking. Let chicken sear in the skillet for 4-5 minutes on the one side. Don't move it around, so you can get a good sear on it. Once it is seared to your liking, flip each piece over and cook another 4-5 minutes until seared nicely. Remove from heat and set aside to cool. 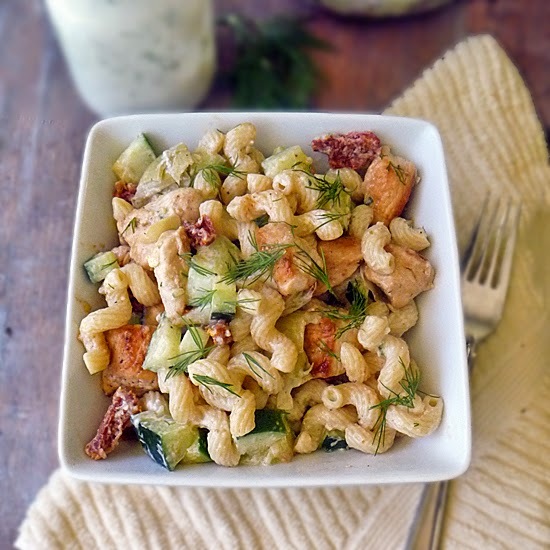 Place pasta in a large bowl and the cooked chicken, chopped cucumber, sun-dried tomatoes, and artichoke hearts. Mix in the Tzatziki dressing and chill until ready to serve. Before serving be sure to give it a taste and adjust the seasonings as needed. Garnish with chopped dill and enjoy! If you like olives and feta cheese don't be afraid to add them. They would be wonderful with this salad. My family is not a fan, so I leave them out. 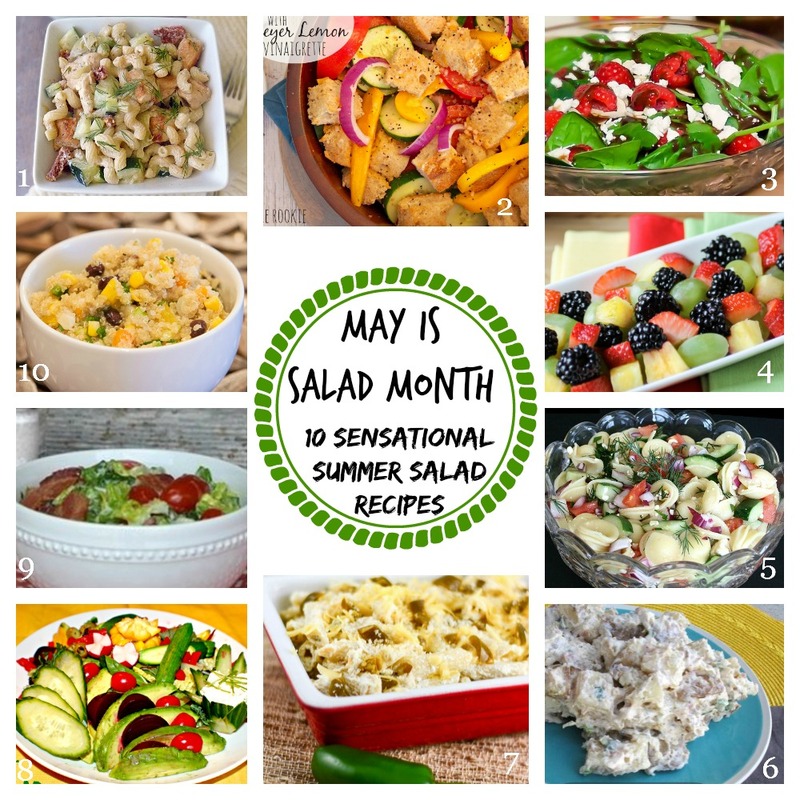 May is salad month!! I joined forces with some of my favorite blogger friends and put together a Summer Salad Recipe Round Up! These are some seriously delicious salad recipes! I'm not sure which one I want to try first! This sounds absolutely amazing! I too, love tzatziki! 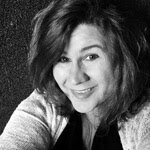 Have you ever bought the premade kind from Costco? 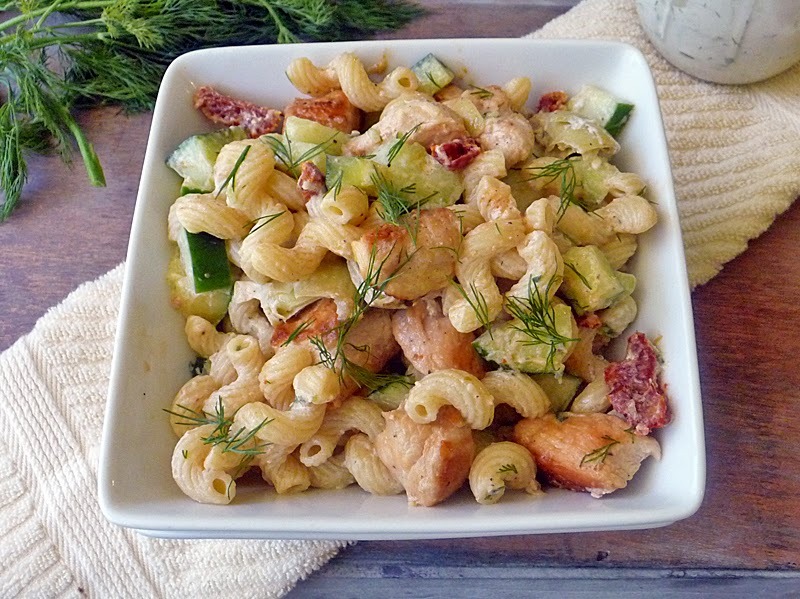 Its so good, I use it on almost everything when I buy it, but I must admit, have never thought about making a pasta salad like this! Yum! YESSSS I Just bought Hannah's Tzatziki at Costco today! Delicious!